Trailblazer Emergency Whistle With Carabiner | BUDK.com - Knives & Swords At The Lowest Prices! 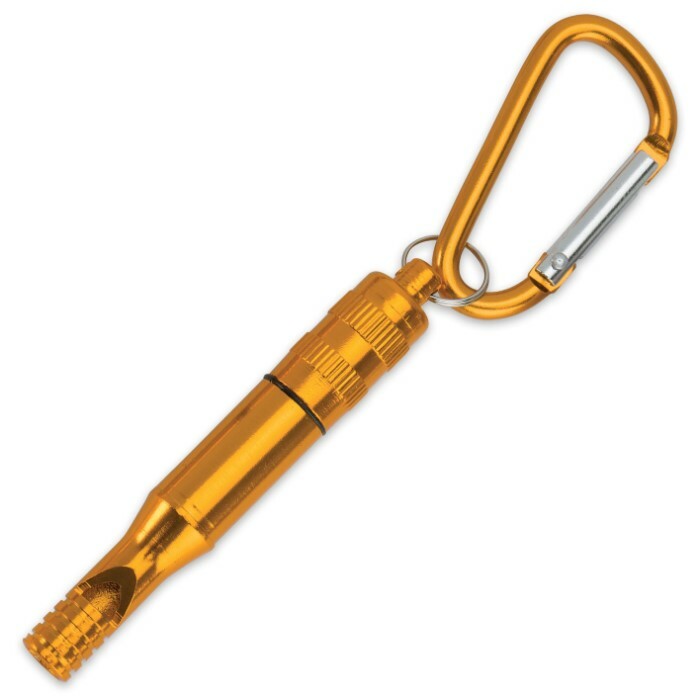 This Trailblazer Emergency Whistle is a must-have for mountain hikers, climbers and outdoors people. 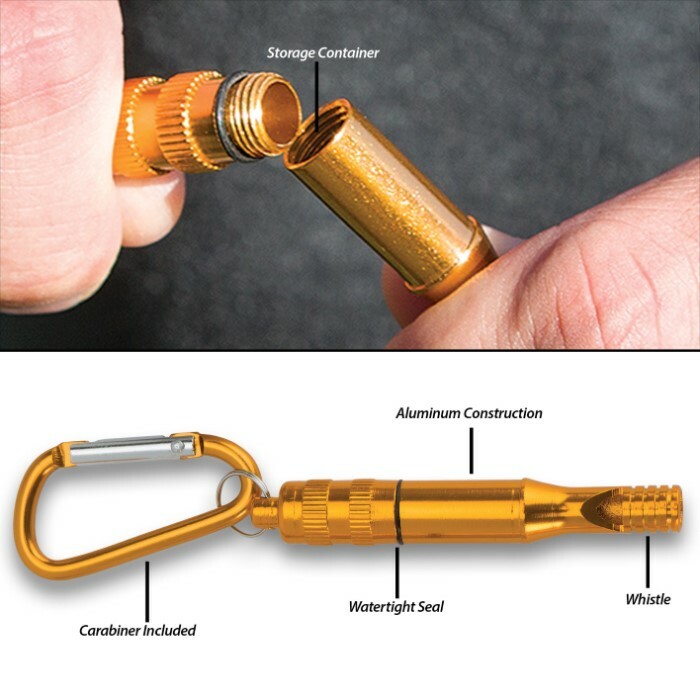 This capsule is water tight and has a small compartment that can be accessed when the top is unscrewed. 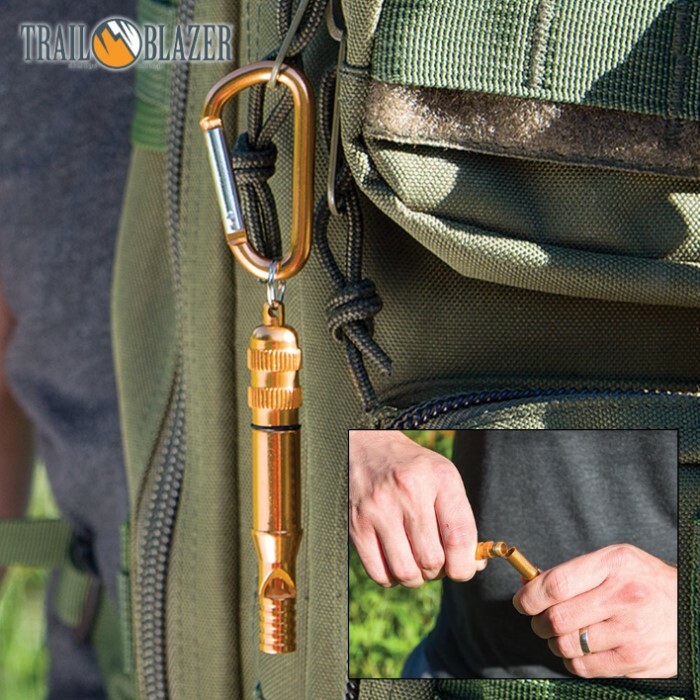 The lightweight aluminum construction is durable, and in addition to the high-decibel whistle, the emergency whistle also incorporates a carabiner, so it's easy to clip to your gear. 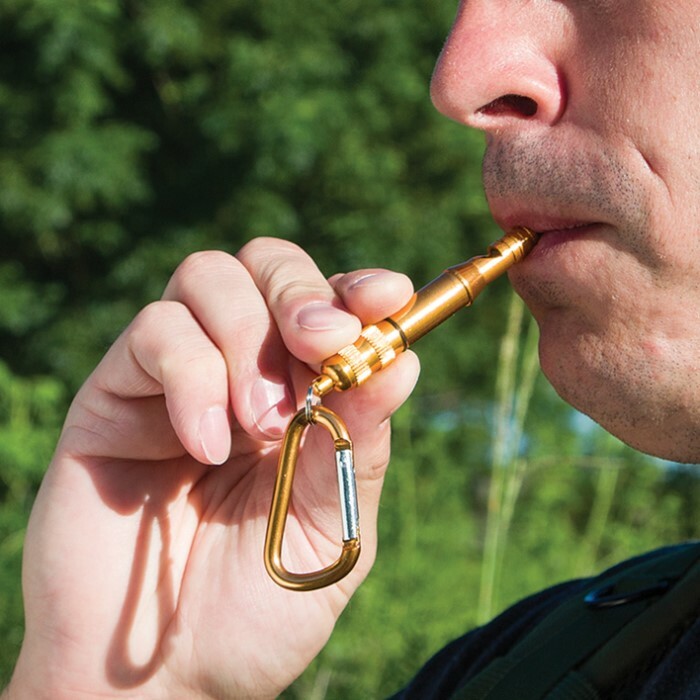 Add a little peace of mind to your gear for that unexpected situation. I bought three. Loud and has a lifetime warranty. Get them for the women in your life and for your B.O.B.